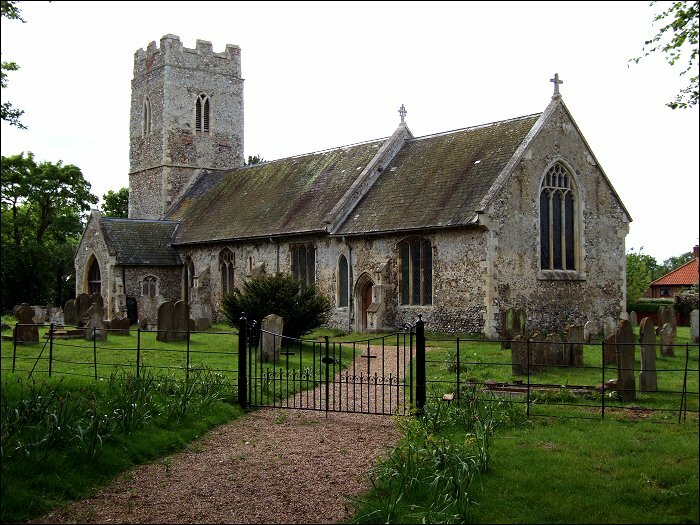 Homersfield sits within a curve of the Waveney river, the border between the two great counties of East Anglia. Behind it is a large tree-shrouded bluff, below are the marshes, and consequently any view from Homersfield is into Norfolk. 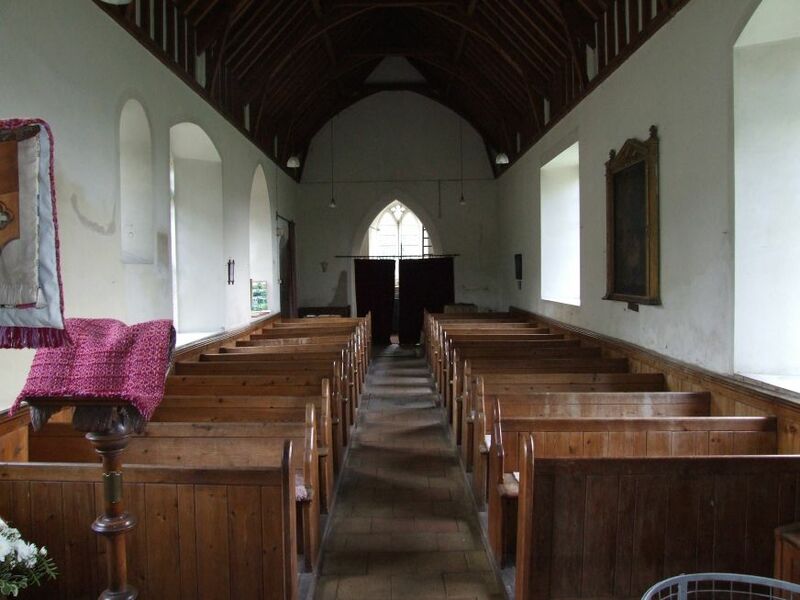 The parish was part of the historic Deanery of South Elmham, the jealous possession of the Bishops of Norwich, and consequently Homersfield is one of the Saints, going by the alternative name of St Mary. 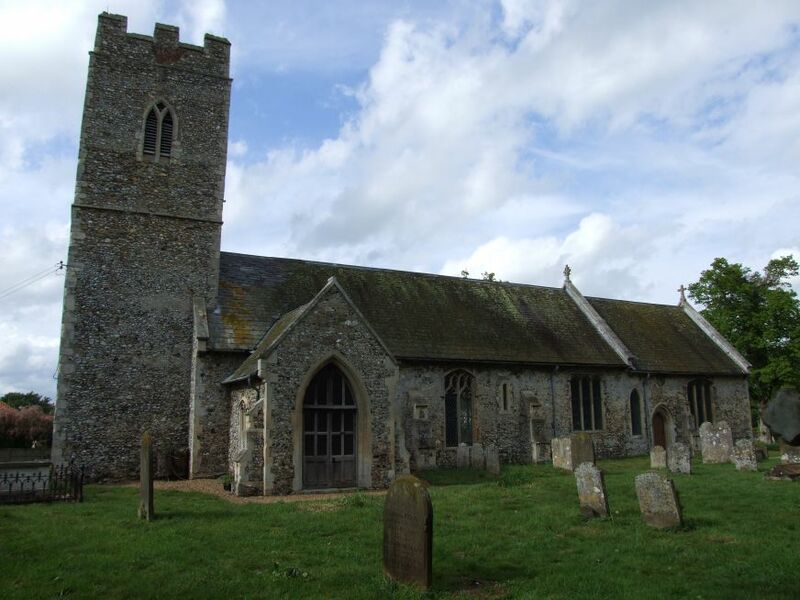 Interestingly, considering how ubiquitous the Blessed Virgin is in Suffolk, it is the only one of the twelve Saints that was dedicated to her. There are two St Margarets. The village formed part of the Flixton Hall Estate, and the Adairs, the family who owned the estate, give their name to the bridge over the Waveney here. Built in 1870, it is supposedly the oldest concrete bridge in England. St Mary is hidden in the woods south of the village, and the best approach to it is to climb the long bridle way from the St James road. This takes you up and up through the trees to the top of the bluff, a large artificial lake rather dramatically below. The pathway opens out in front of St Mary's gated graveyard. 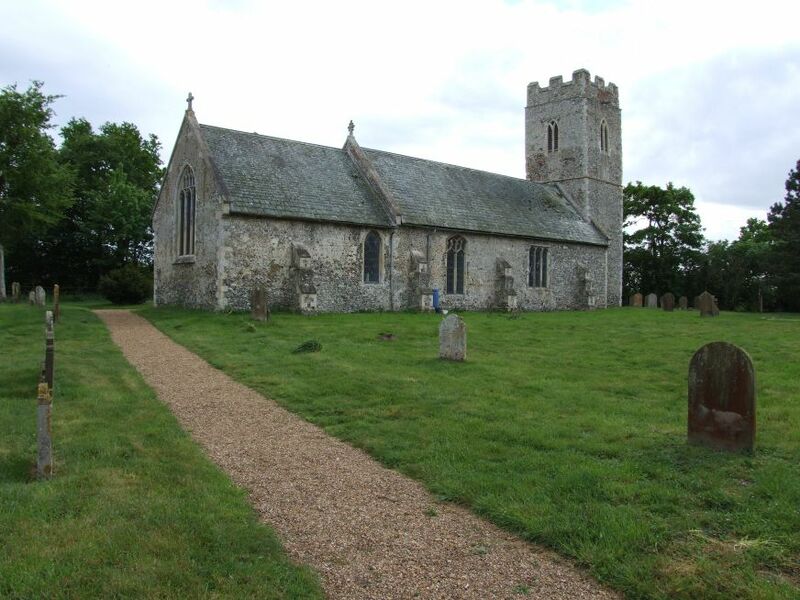 It must be said that this is not one of East Anglia's most exciting churches, a simple aisleless building with its tower, nave and chancel all severely restored by the Victorians. Virtually all the window tracery appears to be renewed, but it is not unattractive, and is not as anonymous as, for example, the nave windows at nearby Flixton, a much more interesting church otherwise. Inside, there is plenty of light, and a simple, homely feel. It would be hard not to like it. Everything is renewed. 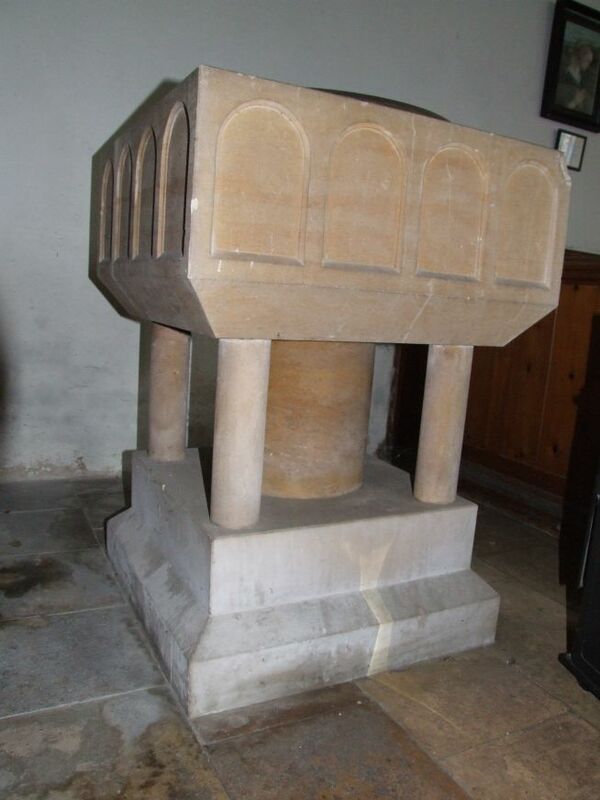 The font is a faithful copy of the square, arcaded Norman fonts, sometimes made from Tournai marble, that you find in a dozen or so places in East Anglia. 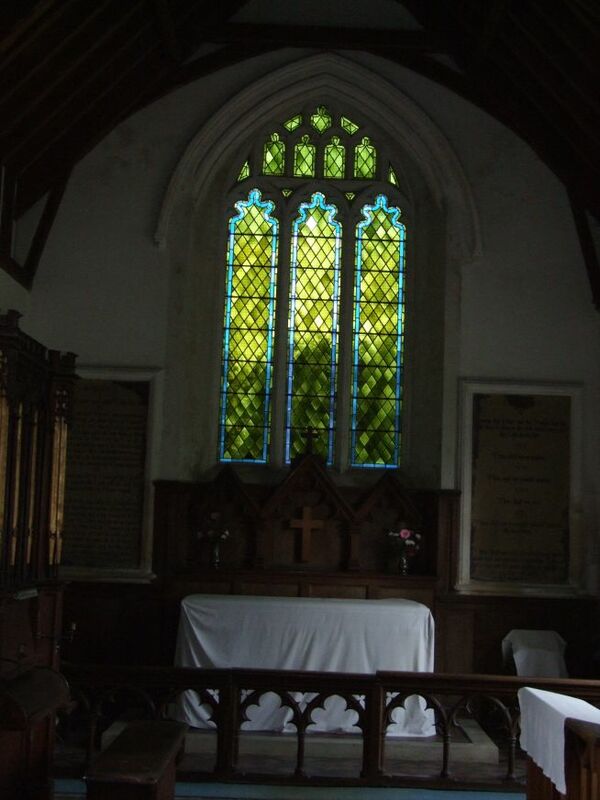 The greenish glass in the sanctuary window is a focus, the trees waving gently behind it. You feel that this is an ordinary church for ordinary people. Symptomatic of this is the framed certificate under the tower: Homersfield and St Cross Vestry Meeting 1962. 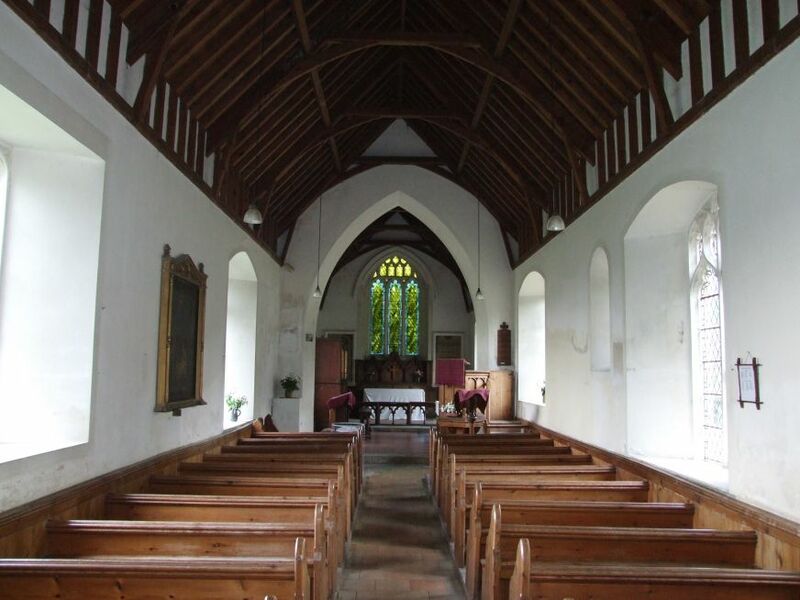 That this Meeting desires to record its grateful appreciation for the Faithful and Efficient way in which Mr G Jaye has carried out his duties as Clerk of St Cross and now of Homersfield Churches for a period of over 40 years.